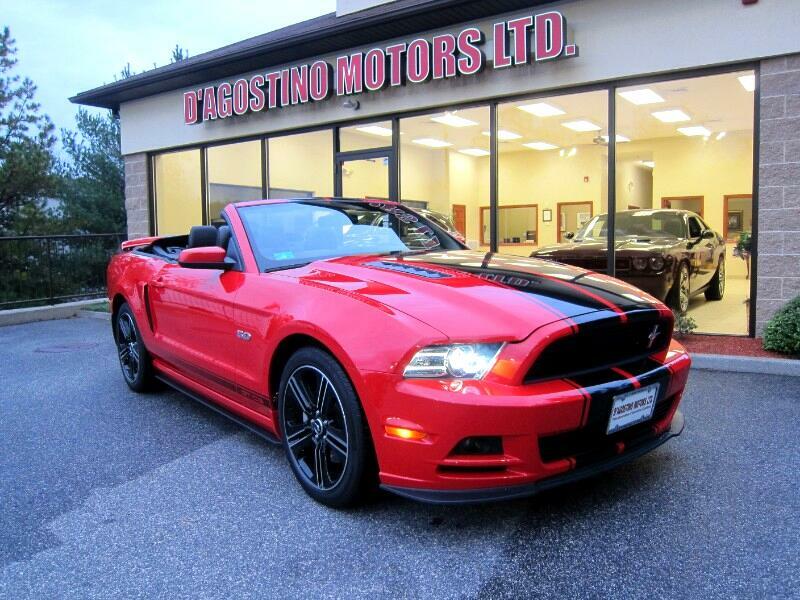 Used 2014 Ford Mustang 2dr Conv GT Premium for Sale in Smithfield RI 02917 D'Agostino Motors Ltd.
ONLY HERE AT D'AGOSTINO MOTORS CAN YOU FIND THIS CAR !!! YOU WILL NOT FIND ANOTHER ONE LIKE IT IN THIS CONDITION ANYWHERE !!! THIS GT CONVERTIBLE IS IMMACULATE !!! THIS GT CONVERTIBLE IS SUPER SHARP !!! DO NOT HESITATE ON THIS ONE !!! THIS GT HAS A CLEAN CARFAX , ALL BRAND NEW TIRES , A 6 SPEED SELECT SHIFT AUTOMATIC , ELECTRONICS PACKAGE W/ NAVIGATION , COMFORT PACKAGE , HEATED SEATS AND HEATED MIRRORS , SHAKER PRO AUDIO SYSTEM , 4.2 LED TOUCH SCREEN , CALIFORNIA SPECIAL PACKAGE, GT/CS HOOD STRIPE , GT/CS SIDE STRIPE , SIDE SCOOPS , PEDESTAL REAR SPOILER , 19'' 2 TONE ALLOY WHEEL , REMOTE KEYLESS ENTRY. Come Experience the D'Agostino Difference! We Go Through our Vehicles with a Fine Tooth Comb from All Mechanical Aspects to an Extensive Reconditioning and Detailing Process, Expect to View the Cleanest Vehicles in New England Guaranteed !! !